Our Bazaar collection is infused with a blend of warm gold and copper tones that promise to add a touch of global styling to every room. Awash with metallic detailing and neutral tones, every design in this collection has a well-travelled feel to bring you pieces that give the impression they have been brought home from destinations afar. The Bazaar collection focuses on rustic inspired designs using earthy shades and weathered techniques to remind you of past adventures. In this collection, we’ve combined matte neutral tones with gleaming metallic details that add a sense of grandeur to your space. With this in mind, our Bazaar collection is warm and welcoming and every piece in the collection is designed to complement each other to bring you a simple way to update your décor. 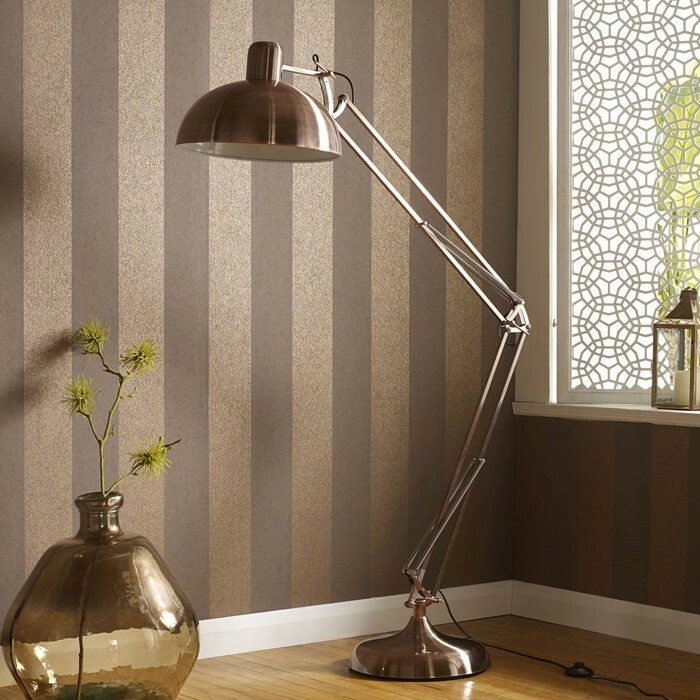 Embodying modern luxury, these copper and gold wallpaper designs are guaranteed to add glamour to every room in the house. Our Gloriana Copper wallpaper design is ever-so-popular due to its dramatic damask prints while our Tranquil Copper makes just as much of a statement thanks to its shimmering copper tones. 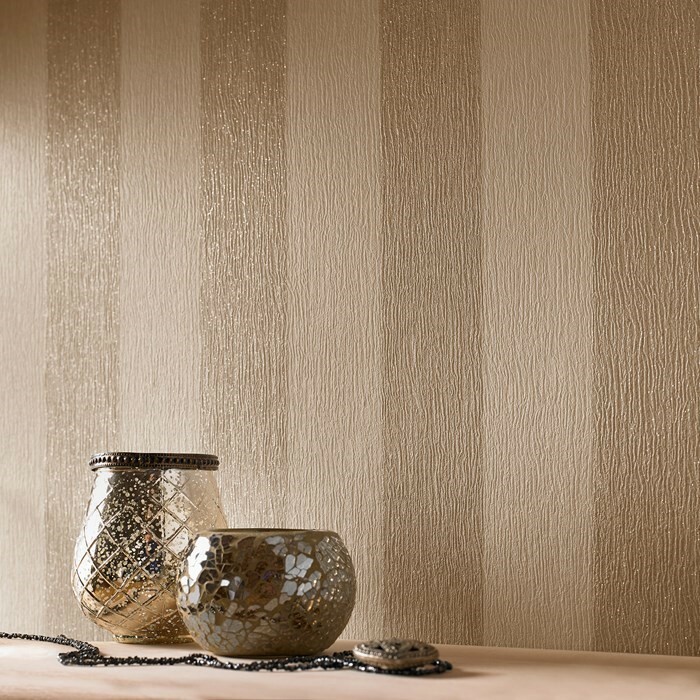 Our Bazaar collection is overflowing with gorgeous designs and if you want the best of both worlds, our Glitterati cream and gold striped design is perfect. In the Bazaar collection you will find a multitude of metallic notes that go perfectly with our Coffee Bean, Chesterfield and Moor End paint shades. To make your house feel like a home, our Bazaar collection complements a range of our most sought after accessories including these set of three grey and brown candle holders. Their angular shape will not only throw light all around your room but they also fit in with the global theme nicely. 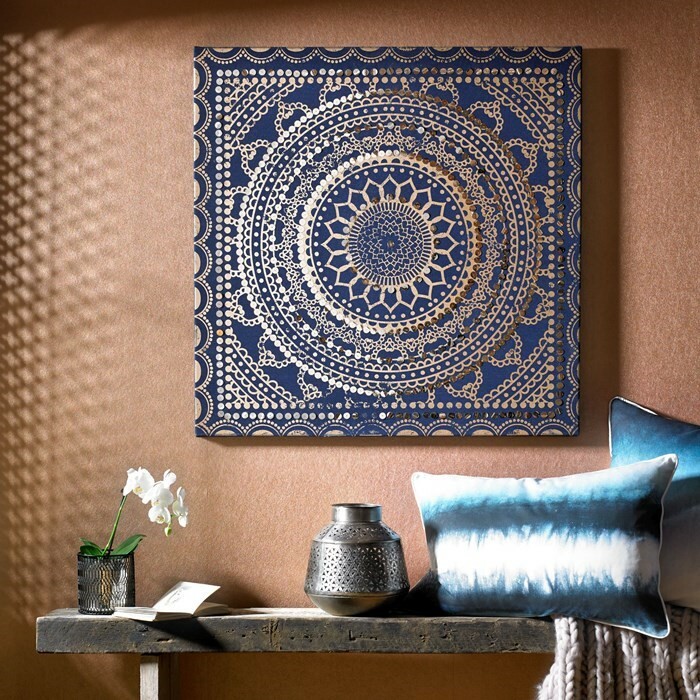 For a splash of colour, this Moroccan style fabric canvas can’t help but make a statement. The copper and gold sequin embellishments match the Bazaar wallpaper and paint collection and it will add the finishing touches to your room. Our angled copper floor lamps are a beautiful way to create an ambience in any room are not only aesthetically pleasing but practical too. Copper accessories will help you to carry the metallic global inspired theme throughout your home and tie each room together. Our delicate copper lanterns only enhance the global inspired theme of the Bazaar collection and you can dot them around the home to decorate bay windows, hallways, mantel pieces and bedside tables.